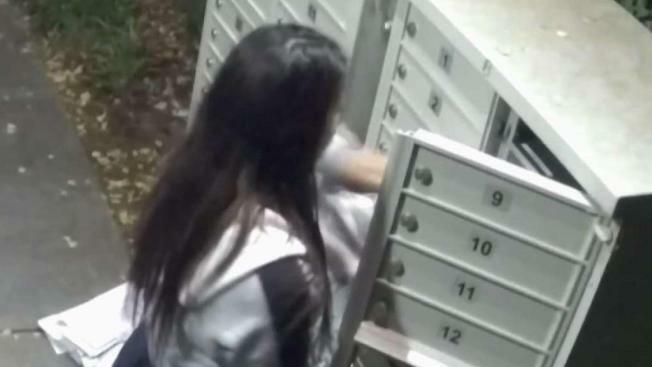 A woman was caught on surveillance video stealing mail from dozens of Santa Clara residents, and postal inspectors say it's just a matter of time before the suspect strikes again in the South Bay. The suspect used a key to open a cluster of mailboxes outside the Talavera housing development in Santa Clara. The surveillance footage shows the suspect calmly approaching the mailboxes just after 3 a.m. then calmly using a key to open the large access door to the mailbox bank. In about 3 minutes, she gathers a significant bundle of mail. "She tried two keys," resident Jitendra Gore said. "She took mail and a lot of packages." The woman made two trips to load all the stolen mail into a waiting car. 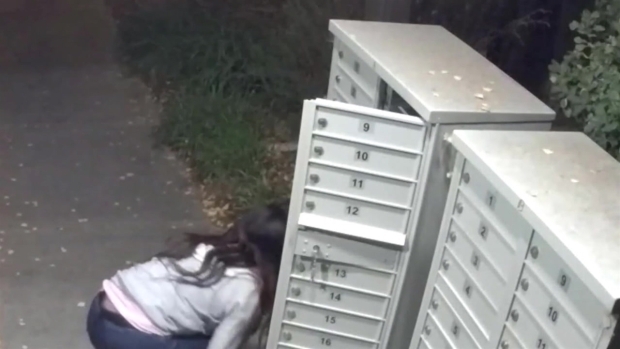 Surveillance video captures a woman opening up mailbox banks at an apartment complex in Santa Clara and making off with bundles of mail. "Totally violated," Gore said when asked how it made her feel. "To see someone pull your letters and packages, it's really a feeling of violation somebody's doing that." U.S. Postal Inspector Jeff Fitch met with the victims Wednesday. Investigators have seen an increase in cluster box break-ins statewide, Fitch said, and he believes the suspect will strike again because a counterfeit key could provide access to other cluster boxes in the same postal zone. "The individuals behind this will likely be hitting other cities in the South Bay," he said. The homeowners association had just installed new surveillance cameras Sunday. Many of the homeowners have no way of tracking down what mail they had stolen. But a new free service may help them in the future. It's called Informed Delivery. Those who sign up will receive images of the mail they're supposed to receive each day.